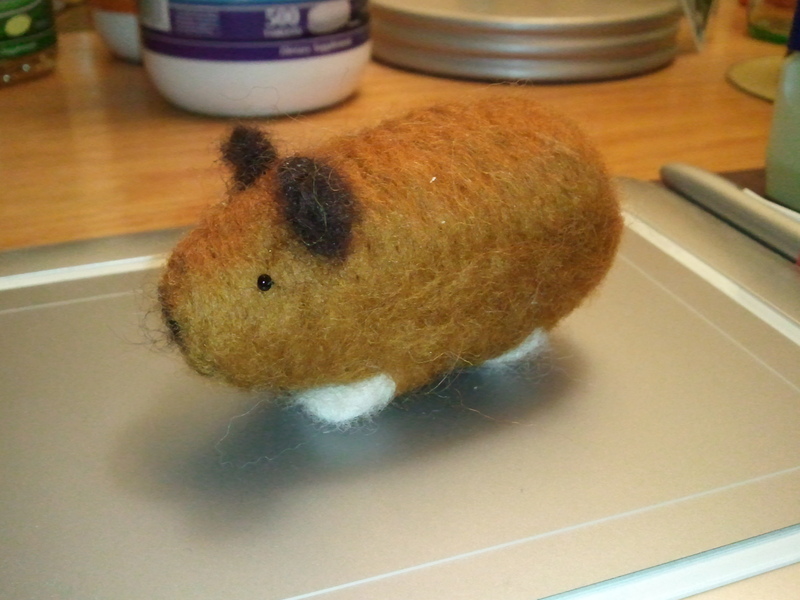 Needle felted guinea pigs | Random moosages as I see fit. In preparation for another (secret) craft that I plan on making, I decided to pick up needle felting (as it is a technique that I think I may need to use). I’ve long thought about learning needle felting, after seeing so many projects that Tally has made with felt (yes, all separate links). It seemed so very easy and versatile. And also possibly a good way to relieve some frustration (since needle felting involves jabbing a needle with some vehemence over and over into some wool roving). 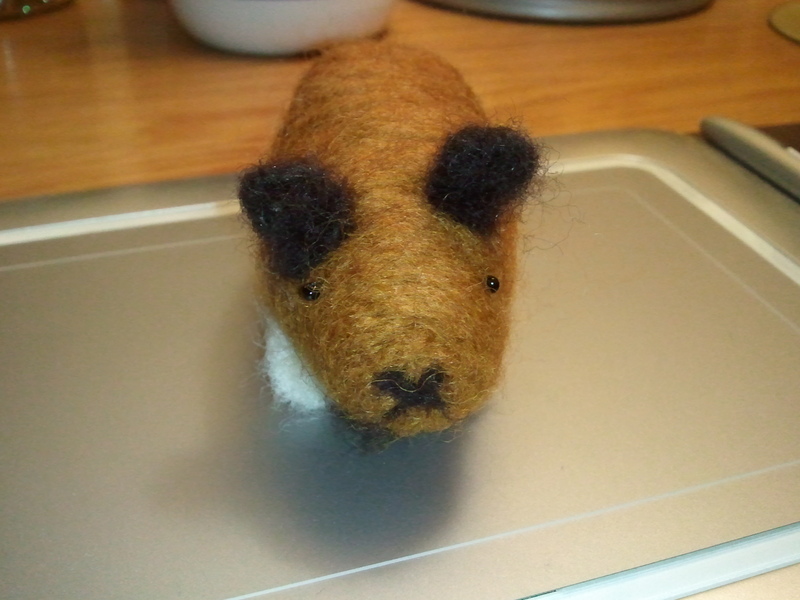 Seeing as how I’d never done this before, I picked up a needle felting kit and made me some guinea pigs. The kit ended up being totally unnecessary in the end. I could have easily picked this up on my own. It really isn’t a very hard technique at all. Anyway, here are the results. Or rather, just one result. Because I am too lazy to take pictures of more than one guinea pig. I will call him Roofus. Here is another photo of Roofus. Incidentally, I have been seeing things about needle felting all over the place online and so I thought it was popular technique. Lots of people had mentioned that they were able to pick up supplies at their local craft store, like Michael’s or Joann’s. Yeah…apparently not. Or at least, no one else needle felts in SoCal besides me. A trip to my local Michael’s yielded a pitiful selection of wool and needles (i.e., no separate needles, only in handles, and nearly everything was out of stock). My trip to Tall Mouse yielded nothing. They had no needle felting supplies. But at least they were able to answer my query on whether or not they had supplies for such. This is important. Because at my local Joann’s, they had no idea what I was talking about. None. They had no idea there was even such a thing as needle felting. They pointed me to felt sheets. And then to sewing needles. And then to the quilting section. They were very nice and tried very hard to be helpful, but they had no clue. At all. I was surprised. Oh well, online shopping it is.